Compulsion and curiosity found Reb and I donating elbow grease and TLC to a sea turtle farm owned and run by Sri Lankan brothers, Ruwan and Nimal. You can read all about their incredible story in this more serious post. This image shows Reb willing a turtle to freedom. In a cruel Catch 22, not so many are released, as they are the product that attracts the visitors to the farm in the first place. 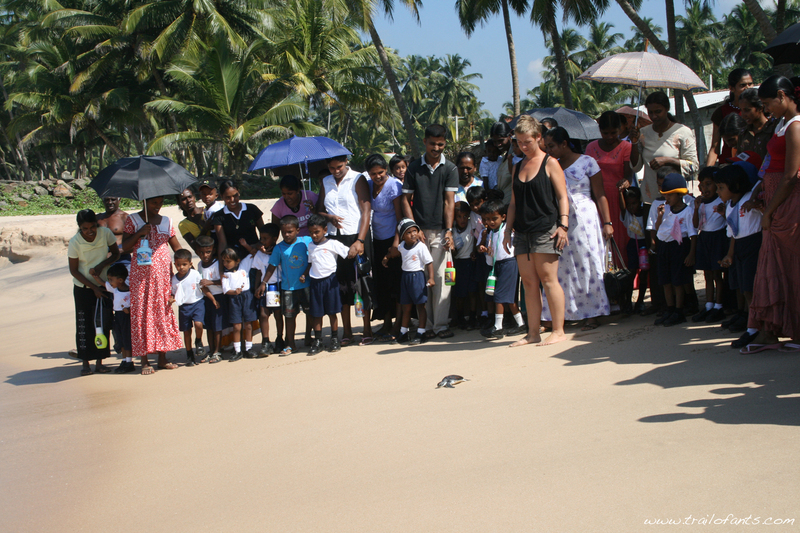 It was while I was volunteering there that I formed the opinion that there are better ways to protect Sri Lanka’s turtles. That said, there are definitely more saved than suffering. Are your flippers flapping at the thought of more images of Sri Lanka? Calm yourself down, come up for air and nibble on some coral as I open my album, to the island of Ceylon.